직지사에 모셔져 있으며 광배와 불상을 하나의 돌로 만들었다. 불상의 머리는 민머리이고 정수리 부근에는 상투 모양의 머리(육계)가 큼직하게 표현되었다. 얼굴은 마모가 심해 세부표현을 자세히 살필 수 없지만, 둥글고 원만한 인상이다. 옷은 오른쪽 어깨를 드러내고 왼쪽 어깨에만 걸쳐 입고 있는데, 옷에는 평행 계단식의 무딘 옷주름이 표현되어 있다. 오른손은 무릎 위에 올려 손끝이 아래를 향하고 있고, 왼손에는 약합를 들고 있어서 이 불상이 약사여래상임을 알 수가 있다. 부처의 몸에서 나온 빛을 형상화한 광배(光背)는 폭이 넓어 맵시있는 모양은 아니지만 덩쿨무늬와 불꽃무늬를 새겨 장식하였다. 전반적으로 세부표현이 둔감해졌으며 광배의 무늬도 세련미가 줄어든 점으로 보아, 통일신라 후기의 양식을 계승한 약사여래좌상으로 볼 수 있다. 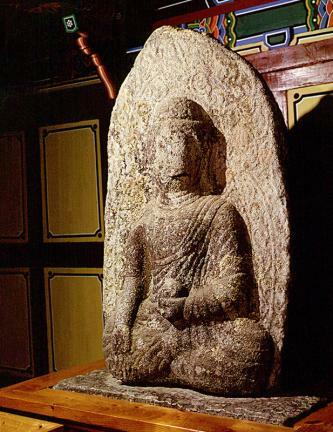 The Buddha statue and the mandorla (Buddhist halo of light) of Jikjisa Temple were made from one rock. 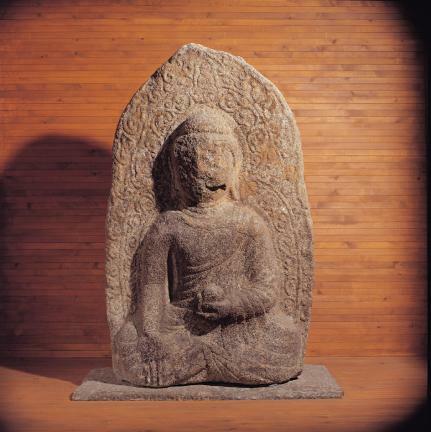 The usnisa (a protuberance symbolizing supreme wisdom), shaped like a topknot, is large on top of the bald head. The face is severely damaged so the details are not visible, but it is round and plump. There are samdo, i.e. the three wrinkles on the neck, and the beobui (sacerdotal robe) hanging over the left shoulder has stair-like parallel folds. 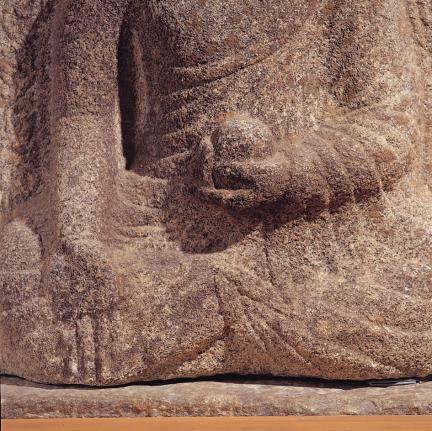 The right hand is on top of the knee and with fingertips downwards, while the left hand is holding a medicine case, showing this is a statue of Bhaisajyaguru Buddha (Medicine Buddha). The mandorla, which gives form to the light coming from the body, is wide and shapeless. There are arabesque patterns near the head and body and spark patterns on the edges of the mandorla. 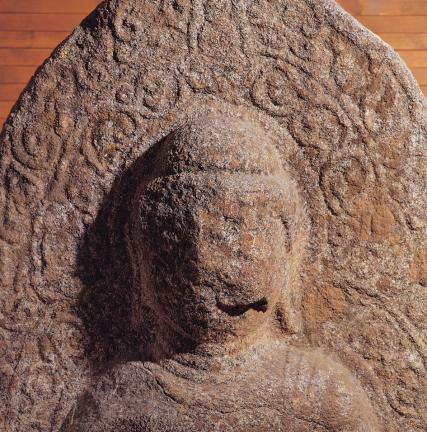 The details of this statue are not clear and the patterns on the mandorla are inferior, suggesting this is a Buddha of late Unified Silla Dynasty style.